Already registered, need to register on event day or just need event day information? See the ride day details page for information on ride packet pickup, parking, schedule of events and other details. Read the complete descriptions of the routes for cyclists of all ages and abilities from a kids rodeo, a family fun ride around Kinder Farm Park to 15 and 30 mile trail only rides to 65 and 100 mile road routes around the county. All proceeds go to Anne Arundel County non-profit organizations with $33,000 donated in 2017! Lifeline100 is also a great inclusive fundraising platform for Charity Partners. Find out how you can participate. Thanks to the generous donations, we are able to host a high quality event and raise much needed funds for local charities. See how you can support the event as a Sponsor or Volunteer! The fifth annual Lifeline100 was another awesome event with over 800 registrants of all ages and abilities! Earlybird registration is OPEN for October 6, 2019! Details at Registration. See beautiful photos, aerial video, TV coverage and more at Photos. The annual Lifeline100 at begins at Kinder Farm Park in Millersville, MD and offers a unique organized ride experience for cyclists of all ages and abilities with scenic 100 and 65 mile routes on road and paved trail and 30 and 15 mile routes on paved trail only. 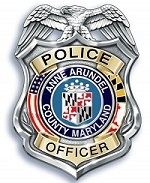 Younger children can learn bike safety at the free children’s Bike Rodeo provided by Anne Arundel County Police Bike Patrol. Thanks to our generous sponsor Prophasys, riders with special needs and their accompanying rider can register at a special 2 for 1 rate. 2018 was a record-setting success with 840 registrants, more than 100 volunteers and over 30 sponsors and generating over $30,000 for local, non-profit beneficiaries. 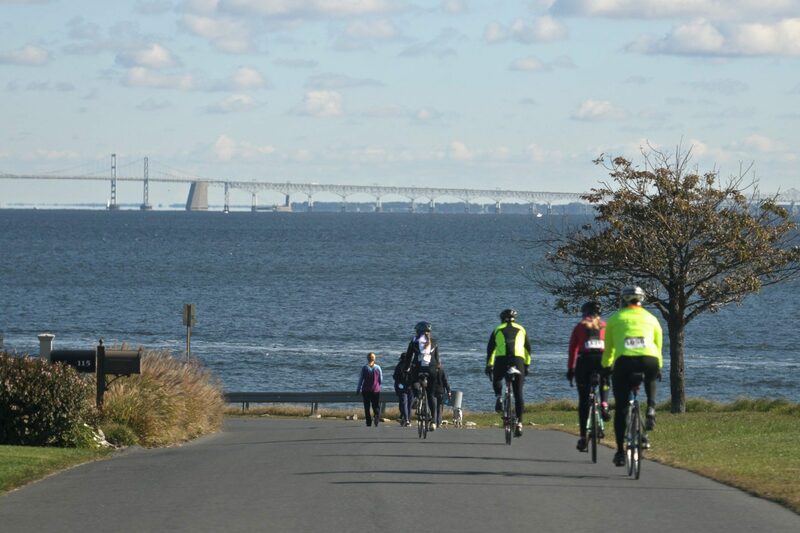 The Lifeline100 is hosted by a partnership of Anne Arundel County Police, Anne Arundel County Recreation & Parks and Bicycle Advocates for Annapolis & Anne Arundel County (“BikeAAA”, a 501c3 promoting safe cycling). All proceeds go to Anne Arundel county non-profits including The Crisis Response System, Recreation Deeds for Special Needs and BikeAAA. Ride Day Details and Route Information are available from 2018 and will be similar for 2019! Check out the cue sheets and GPS files including talking turn by turn! Overall, it was an awesome experience. I loved the ride and rode my longest distance. All the volunteers were great too! Thanks so much. I hope to do the ride next year. Thanks for a great ride! My husband and I did the 30 mile, and added on the BWI loop – great idea! This is our first year riding group rides, and we will plan to come back for the century next year. Rest stops were fabulous – great food, wonderful volunteers, nice to have port-a-potties or restrooms! Overall I’d give you all an A+!! Thank you very much! Attention to the details makes this a top 5 event every year for me and I do about 20 organized rides a year all over east coast. Super well organized and great ride. Appreciate everyone who volunteered at the rest stops!! And the officers and individuals who helped block traffic. Thank you to everyone involved. Such a fantastic event.